The survival of several threatened and endangered species in North Carolina became even more precarious this week, as government officials published preliminary decisions on the red wolf, dwarf wedgemussel and yellow lance mussel. The saga of the endangered red wolf in northeastern North Carolina has dragged on for years. Since the mid-2000s, when the population peaked at around 130, the number of red wolves has plummeted to fewer than 40. They’ve been hit by cars, have died naturally, but also have been illegally shot by hunters mistaking them for coyotes or people who just don’t like wolves. The US Fish and Wildlife Service is now proposing to reduce the existing red wolf recovery area from six counties to just one — Dare County — a decrease in acreage of 90 percent. This habitat can support fewer than 15 wolves. Any remaining animals that wander off federal property — the Alligator River National Wildlife Refuge or the Dare Bombing Range — could be legally killed. 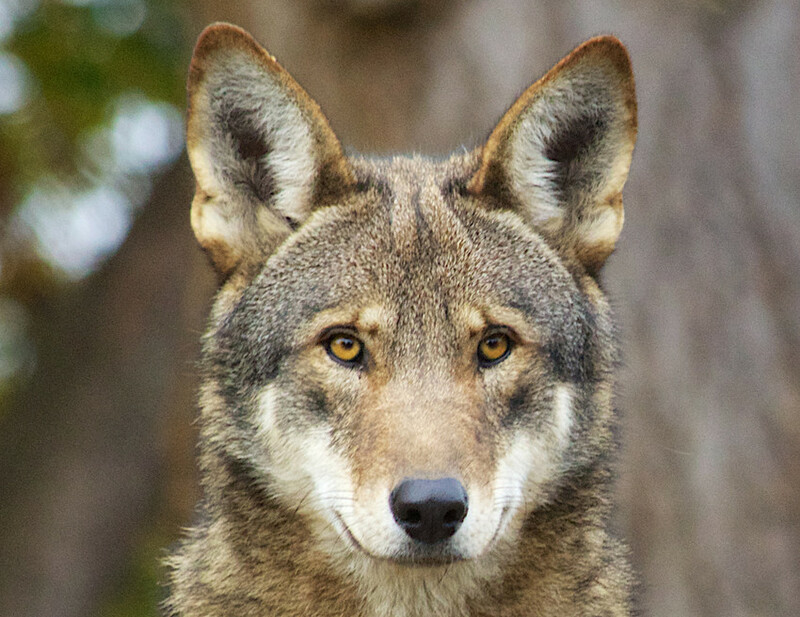 Currently, no one can legally kill a red wolf except under narrow circumstances. For example, people who want to kill a red wolf — perhaps they are harming livestock — must request permission from wildlife officials via a “take” permit. If a wolf is imminently threatening a human, pet or livestock, then it may be killed, although the incident must be reported to wildlife officials. 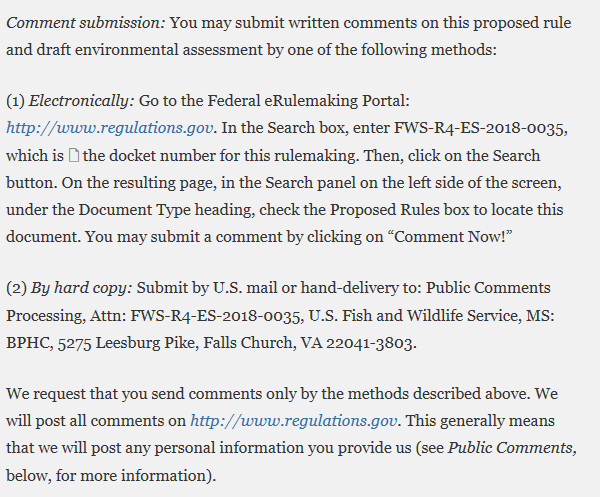 USFWS published its proposal in the Federal Register today. The agency has also scheduled a public hearing for Tuesday, July 10 at Roanoke Festival Park in Manteo. A public information session will be held from 5:30 to 6:30 p.m.; the public hearing follows from 7 to 9. The public comment period ends July 30. Policy Watch will feature additional coverage the day before the event. Mussels are also in trouble because of the planned Complete 540 toll road slated to run through southern Wake County. Both species of mussels live in or near Swift Creek, which the multi-lane highway would cross. The dwarf wedgemussel has also been found in the Neuse River Watershed, of which Swift Creek is a part. However, the construction and operation of the $2.2 billion Complete 540 toll road could render those mussels virtually extinct. On Monday, the Southern Environmental Law Center filed an amended complaint in US District Court, alleging that the US Fish & Wildlife Service “has abruptly abandoned its responsibilities” under the Endangered Species Act in issuing a Record of Decision that would allow the toll road to be built. The SELC is representing Sound Rivers, the Center for Biological Diversity and Clean Air Carolina in the case. The amended complaint follows the original, filed last month. Both complaints lay the groundwork for a future lawsuit. In its official Biological Opinion published last month, USFWS allows the state department of transportation to essentially kill every threatened or endangered mussel in 50 miles of habitat. The federal agency doesn’t require DOT to monitor or report the number of mussels that are possibly destroyed. The only proposal to save the mussels from extinction is a vague plan for DOT to help fund a new propagation facility at Yates Mill Park. With $5 million, NC State researchers would try to breed the mussels and eventually reintroduce them into the wild — but at an unspecified and unknown location. However, the opinion contains no benchmarks or measures of success. Nor is it clear what will happen when the $5 million is exhausted. In the complaint, the SELC also criticized the National Marine Fisheries Service for its failure to consider direct and indirect water quality impacts to the endangered Atlantic Sturgeon and its habitat in the Neuse River Watershed. roughly 50,000 feet of streams and 60 acres of wetlands would be damaged, both temporarily and permanently, as a result of the construction and operation of the road. Nor does the Biological Opinion consider the cumulative impacts of the to-be-constructed Atlantic Coast Pipeline, which will route through parts of the Neuse River Watershed. Swift Creek lies within that watershed. 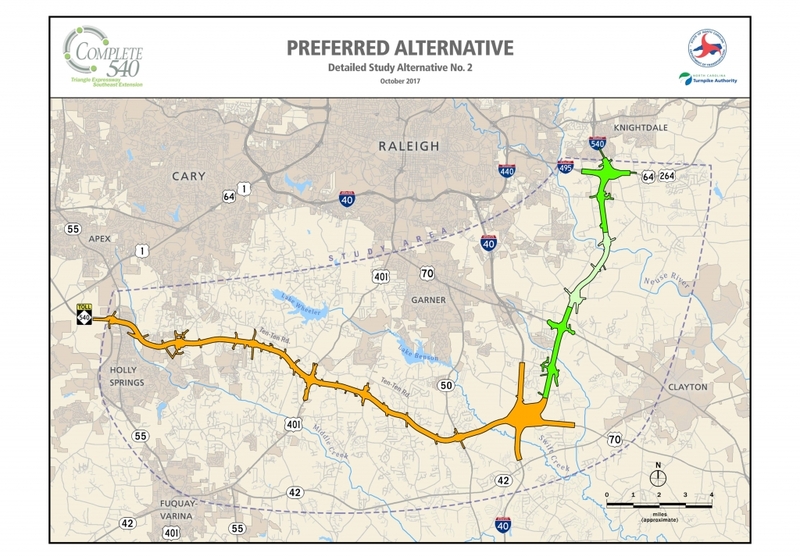 Complete 540 would likely increase greenhouse gas emissions through additional traffic on existing roadways and the tollway itself. In the complaint, SELC points out that alternatives, including a no-build scenario with upgrades to current streets, were not seriously considered. SELC is asking the court to rule that USFWS, the Federal Highway Administration and DOT have violated several federal statutes, including the Endangered Species Act. The law firm is also requesting that the Record of Decision, Biological Opinion and other formal decisions be vacated. Until the agencies have complied with all federal rules, the SELC wrote, the court should stop any further action on construction or planning of the tollway.